Click here to download the CCRA Bylaws. 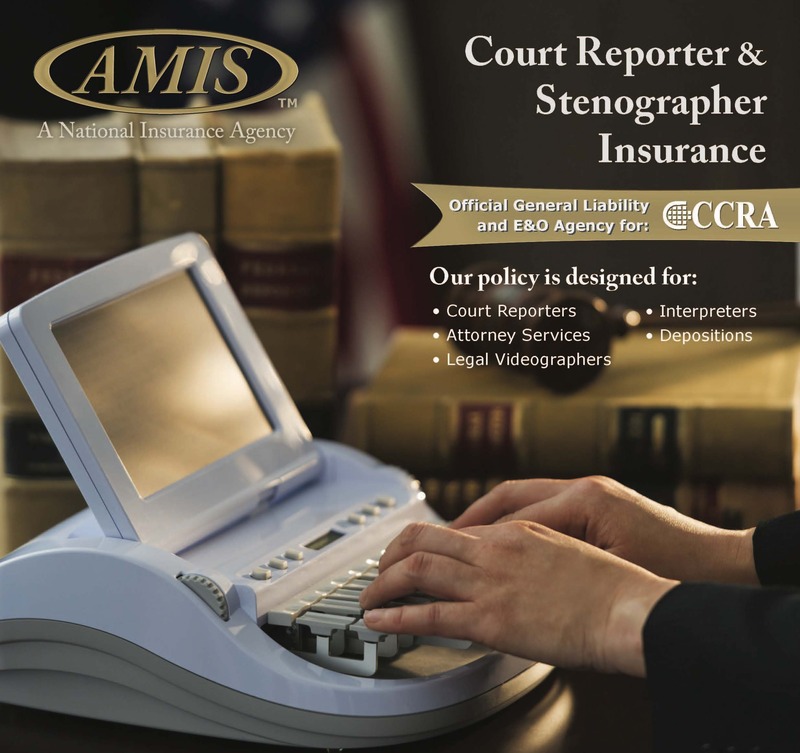 The name of this organization shall be the California Court Reporters Association, Incorporated (hereinafter referred to as the “Association”). To promote lawful and professional conduct by court reporters and compliance with all applicable laws, rules, and regulations, including antitrust laws. The current edition of “Robert’s Rules of Order Newly Revised” shall be the official parliamentary guide in all situations not provided for in these Bylaws or the Standing Rules of the Association. A parliamentarian may be appointed by the President or the Board of Directors to serve at any meeting of the Association. Membership in the Association shall be open to individuals who subscribe to and support the purposes of the Association and who meet the requirements for one of the classes of membership, as defined herein. The term “voting members” as used in these Bylaws shall be defined as Regular and Participating Members as described in Section 2(a) and (b) of this Article. Regular Members – Any person who holds a valid California Certified Stenographic Reporter’s license. Any person who has passed the State of California test for Hearing Reporter and utilizes stenographic to produce the record or is a non-licensed official court reporter appointed to an official position prior to January 1, 1983, pursuant to Business and Professions Code section 8016. A court reporter employed full time by the United States federal court system. A stenographic writer primarily engaged as a CART provider or broadcast captioner who holds a National Court Reporters Association (NCRA) Certified Realtime Captioner certification or the Association’s Certified CART Generalist certificate. The Board of Directors may also consider for membership a stenographic writer who has been primarily engaged in the CART or captioning profession in an ongoing basis for over five years without certification and who is not a court reporting school student. Participating Members shall be entitled to all privileges of membership except holding office, or as otherwise provided in these Bylaws. Student Members – Any person who is currently enrolled as a student of verbatim stenographic reporting who does not qualify for any other class of membership. Student Members shall be entitled to all privileges of membership except voting and holding office. Retired Members – Any member of the Association who has been a member in good standing for the last consecutive ten (10) years and who has permanently retired from the active practice of verbatim stenographic reporting. Such membership shall be granted upon approval of the Board of Directors. Retired Members shall be entitled to all privileges of membership except voting and holding office. Instructor Members – Any person who is an instructor of verbatim stenographic reporting at a school which conducts a verbatim stenographic reporting course and who does not qualify for any other class of membership. Instructor Members shall be entitled to all privileges of membership except voting and holding office. 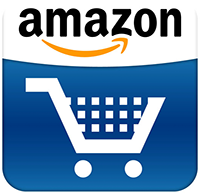 Associate Members – Any person not otherwise eligible for membership. Such membership shall be granted upon approval of the Board of Directors, unless otherwise provided in the Standing Rules. Associate Members shall be entitled to all privileges of membership except voting and holding office. All classes of members shall enjoy the privileges of membership in the Association except where certain privileges are specifically restricted by these Bylaws. All members may attend meetings of the membership and may participate in any debate at such meetings, pursuant to rules adopted for such meetings. Only members entitled to vote shall be eligible to make or second motions at such meetings. All members may attend meetings of the Board of Directors. Only members of the Board of Directors, and the Legislative Council or their proxy, as provided by these Bylaws, may make or second motions and vote on any issue at a meeting of the Board of Directors and/or Legislative Council at which a quorum is present. The dues of members shall include a subscription to the official publication of the Association. Honorary Members – Any person who has made outstanding contributions to the court reporting profession may be considered for honorary membership. Such membership shall be granted upon recommendation of the Board of Directors and ratification by two-thirds (2/3) vote of the Regular and Participating Members at an Annual Meeting where a quorum is present. Honorary Members shall be entitled to all privileges of membership except voting and holding office, and shall be exempt from the payment of dues. The membership of any person whose dues are sixty (60) days in arrears shall be suspended and all privileges of membership shall be terminated. A member in good standing who terminated membership by resignation may be reinstated, if eligible, to the member’s former class of membership upon written request, fulfilling the current requirements of membership and full payment of the current year’s dues. The annual dues, or any special assessment, for each class of membership shall be set by the Board of Directors and payable in U.S. funds. The Board of Directors may establish procedures and amounts for the collection and proration of dues. Honorary Members shall be exempt from the payment of dues. Charges for programs, services and materials shall be determined by the Board of Directors. The governing body of the Association shall be the Board of Directors, which shall represent the membership and manage and direct the affairs of the Association in accordance with the goals, objectives and purposes of the Association and pursuant to California law. Seat-D (Southern) — Imperial, Inyo, Los Angeles, Orange, Riverside, San Bernardino, San Diego. Each member shall designate on his/her membership form the district of their principal place of business. This designation may be changed no more frequently than biennially unless, upon request, the Board of Directors grants an earlier change due to unusual circumstances. To be eligible for election as a Director, a member must be a Regular Member. Act upon all questions affecting the interest of the court reporting profession between Annual Meetings or Special Meetings of the membership. To be eligible for election as an Officer, a member must be a Regular Member. Perform duties incident to the office of President and such other duties as may be prescribed by the Board of Directors. There shall be a President-Elect and a Vice-President. The President-Elect and Vice-President shall assist the President and act as chairpersons of such committees as appointed by the President. The President-Elect and Vice-President shall assist in the preparation of a proposed budget for the fiscal year. The President-Elect or the Vice-President, in the order designated by the current president, and with the approval of the Board of Directors, shall perform the duties of President in the event of the inability of the President to serve. The President-Elect is authorized to appoint committees for the ensuing term, with the approval of the current Board of Directors. The President-Elect or the Vice-President shall perform all other duties incident to the office and such other duties as may be prescribed by the Board of Directors. Perform all other duties incident to the office and such other duties as may be prescribed by the Board of Directors. The Executive Committee shall consist of the President, President-Elect,Vice-President, Secretary/Treasurer, and the Immediate Past President, who shall serve as a nonvoting ex-officio member. The Board of Directors may designate an appropriate Association support staff person to serve as a nonvoting ex-officio member of the Executive Committee. The Executive Committee shall have and may exercise only the authority and powers granted by the Board of Directors, consistent with the laws of the State of California, during interims between meetings of the Board of Directors. A majority of the voting members of the Executive Committee shall constitute a quorum. Any action taken by the Executive Committee shall require the approval of at least three (3) members of the Executive Committee. The Executive Committee shall at the next meeting inform the Board of Directors of any actions taken by the Executive Committee. In no event shall the Executive Committee have the authority to modify or rescind any action taken by the Board of Directors without prior approval of the Board of Directors. The Executive Committee shall annually review contractual arrangements, including performance of the Executive Director or, if none, other Association support staff. The report and recommendations of the Executive Committee shall be presented to the Board of Directors in executive session. The Legislative Council shall be comprised of Representatives designated by local reporter associations, as defined in subsection (c). Each local court reporter association shall designate one (1) of its members to act as its Legislative Council representative. Each Legislative Council representative must be a Regular or Participating Member of the Association. The term “local court reporter association” as used in these Bylaws means an association consisting of at least fifteen (15) members, which has elected officers and/or a board of directors. In order to participate on the Legislative Council, such local court reporter association shall espouse and embrace purposes consistent with those stated in Article 2 of these Bylaws, and its members must be eligible for membership in the Association as Regular, Participating or Retired Members. Each Legislative Council representative shall file with the Secretary/Treasurer of the Association at the start of each Association fiscal year a list of all members of the local court reporter association. Failure to comply may result in no person being permitted to act on behalf of said local court reporter association on the Legislative Council. Each Legislative Council representative must file yearly with the Secretary/Treasurer of the Association an authorization letter signed by the president, secretary, or executive officer of said local court reporter association, designating the local court reporter association’s authorized representative. A new letter of authorization must be filed with the Secretary/Treasurer upon any change in the designated Legislative Council representative. Failure to comply shall result in no person being permitted to act on behalf of said local court reporter association on the Legislative Council. A Legislative Council representative must be recognized as authorized by the Secretary/Treasurer of the Association before being allowed to cast a vote. At the annual meeting or upon the call of the President, but in any event prior to the beginning of each year’s California legislative session, there shall be a Legislative Conference of the Legislative Council for the purpose of considering resolutions proposed by local court reporter associations or by any Member in good standing who is not otherwise eligible to join a local court reporter association. Those resolutions approved by majority vote as defined in Article 15, Section 3(a), shall be submitted to the Board of Directors. The President shall chair the Legislative Conference. The rules for conduct of the Legislative Conference shall be contained in the Standing Rules of the Association. Any three (3) representatives of a local court reporters association and/or CCRA members ineligible to join a local court reporter association who were in attendance at the first meeting of the Legislative Council may jointly request in writing a second meeting of the Legislative Council, and such second meeting shall occur upon the call of the President for the purpose of an information exchange on issues of concern to the court reporters in each county. The President shall chair the information exchange meeting. The rules of conduct of the information exchange meeting shall be contained in the Standing Rules of the Association. Submit by resolution recommendations to the Board of Directors regarding Association activities, management and policies. To be eligible for election as an Officer or Director, a member must be a Regular Member. An official court reporter employed by any court in a management position, as determined by the Board of Directors, shall not be eligible to serve as an Officer or Director. The election of Officers shall take place at the Annual Meeting by a majority vote where a quorum is present as defined in Article 15, Section 4(a). Officers shall serve one (1) year or until their successors are elected and qualified, , except the Secretary-Treasurer whose term shall be two (2) years. The office of President shall not be held more than two (2) consecutive terms. Duties of office shall be assumed at the close of the Annual Meeting. In order to serve a consecutive term, the President must be nominated and then reelected by the membership. If the current President is so elected, the membership shall also elect a President-Elect. The six (6) Regular Members and one (1) Participating Member elected by the membership shall serve in the capacity of Director of the Association and shall not represent any particular district. The six directorships shall be designated for election purposes as Seat A, Seat B, Seat C, Seat D, Seat E, Seat F and Seat G. Seats “A,” “B,” “C,” and “D” shall correlate to the districts designated in Article 6, Section 2, of these Bylaws. Seats “E” and “F” shall correlate to the Directors elected at large by the membership but who shall not be from the same district. Seat G shall correlate to a member as defined in Article 4, Section 2, subsection (b)(3). In even-numbered years, the Directors holding Seats “A,” “C,” “E,” and “G” shall be elected for a term of two years and shall serve until their successors have been elected and qualified. In odd-numbered years, the Directors holding Seats “B,” “D,” and “F” shall be elected for a term of two years and shall serve until their successors have been elected and qualified. For the year 2017-18, the President shall appoint a Participating Member to fill Seat “G” for one year. Candidates for the Board of Directors shall be nominated by the Nominating Committee, or by the membership pursuant to Article 16, Section 11(f), and shall be elected by plurality vote of those members present and entitled to vote at the Annual Meeting. In the case of a tie vote, a second vote shall be taken immediately following the first vote. If another tie vote occurs, the election for that seat shall be decided by drawing by lot. The Board of Directors may determine a vacancy exists when an Officer or Director has missed two or more consecutive meetings of the Board of Directors without reasonable cause therefor. If there is a vacancy in the office of the President, the President-Elect shall complete the unexpired term. The President-Elect shall not be precluded from serving a full term as President following the expiration of the current President’s term. If there is a vacancy in any other office, the Board of Directors, by majority vote, shall elect an Officer or Director to fill the unexpired term. If there is a vacancy on the Board of Directors, the Board of Directors shall appoint a Director Pro Tempore from the district in which the vacancy exists to complete the remaining term. If there is evidence that a Director’s conduct tends to injure the good name of the Association, disturb its well-being, or hamper it in its work, a special committee shall be appointed by the President, at the President’s discretion, to investigate the charges and report its findings to the Board of Directors. For the protection of the Association as well as the accused Director, the conduct complained of and the activities of the special committee shall be kept in confidence by conducting related proceedings in executive session. The Director in question shall be afforded a fair hearing and the opportunity to address the special committee and to have their responses included in the report of the special committee to the Board of Directors. Upon receipt of the report, the President shall call a meeting of the Board of Directors in executive session for the purpose of deciding whether to remove the Director. A two-thirds (2/3) vote shall be required to remove the Director. If the Director is removed, the Association shall only disclose those facts necessary for the protection of the Association. Neither the Association nor any of its members shall make public the charge upon which the Director was removed or reveal any other details connected with the inappropriate conduct. Any Officer may be removed for cause by three-fourths (3/4) vote of the Board of Directors present and voting, each person representing one vote, whenever in their judgment the best interests of the Association would be served thereby. Procedures for removal shall be determined by the Board of Directors and shall include provisions for the conduct of fair hearings. Annual Meetings shall be held at a time and place in October each year as selected by the Board of Directors. Notice of the Annual Meeting shall be given to the membership not less than thirty (30) days prior to the date thereof. If the Board of Directors, by two-thirds (2/3) vote, determines that the holding of the Annual Meeting would be inadvisable because of unusual or unforeseen conditions, the membership shall be notified of the reason therefor and the Annual Meeting rescheduled as soon as practicable. At least thirty (30) days prior to the Annual Meeting, a written resolution signed by at least sixty (60) members, ten (10) from each District, may be filed with the Secretary/Treasurer. Such resolution should include a brief statement of purpose and the action requested by such members. The resolution shall be read by the President at the Annual Meeting and a vote taken. Such resolution must be passed by a two-thirds (2/3) vote. The resolution, if passed, shall then be considered by the Board of Directors at its next meeting. A Special Meeting of the membership may be called by a majority of the Board of Directors or upon petition of five (5) percent of the voting members. The only business transacted shall be that specified in a written notice mailed to the Regular and Participating Members by the Secretary/Treasurer not less than fifteen (15) days prior to the date of such meeting. The President or a majority of the Board of Directors may call a Board meeting. All meetings of the Board of Directors, except any meeting called on an emergency basis or held by telephone conference or internet device, shall be noticed in the official publication. All meetings of the Board of Directors shall be open to all members, except any portion conducted in executive session or any meeting held by telephone conference or internet device. If a meeting is held by telephone conference or internet device, all members of the Board of Directors shall individually or collectively consent in writing to that action. Such written consent shall be filed with the minutes of the proceedings of the Board of Directors. The Board of Directors may vote to hold certain portions of a Board of Directors meeting in executive session. During such session, only members of the Board of Directors shall be present. The Board of Directors may vote to include persons during an executive session. The Board of Directors may vote to include or exclude Directors or officers for good cause. Any vote taken in executive session shall be duly recorded for the minutes in open session. Minutes of an executive session shall be sealed. No discussions had nor personal notes taken during an executive session shall be disclosed by any person. Meetings of the Legislative Council called pursuant to Article 10, Section 2, shall be held at such times and places as directed by the President. A majority of the Regular and Participating members registered, present and voting at a meeting at which a quorum is present shall determine all issues, unless otherwise specified in these Bylaws. A majority vote of the Board of Directors present and voting at a meeting at which a quorum is present shall determine all issues, unless otherwise specified in these Bylaws. Between meetings of the Board of Directors and at the request of three (3) Directors, the President shall submit a question to the Board of Directors for a vote by the most expeditious and economical method, which may include electronic communication. The result of such vote shall be filed with the minutes of the proceedings of the Board of Directors. Between Annual Meetings, the Board of Directors may submit a question to the voting members, to be determined by mail vote. A member of the Board of Directors may not cast a vote as a member of the Legislative Council. Each representative on the Legislative Council shall have one vote. A majority vote of the Legislative Council representatives present and voting at a meeting called by the President at which a quorum is present shall determine all issues, unless otherwise specified in these Bylaws. A Legislative Council representative shall cast a vote for no more than one local court reporter association. The quorum for Annual and Special Meetings of the membership shall be fifty (50) authorized voting members registered and present at the convening of said meeting. The voting members may continue to do business until adjournment, notwithstanding the withdrawal of enough voting members to leave less than a quorum, if any action taken is approved by at least a majority of the members required to constitute a quorum. The quorum for meetings of the Board of Directors shall consist of a majority of the full voting membership of the Board of Directors. Unless otherwise provided in these Bylaws, a majority vote of the Board of Directors at a meeting at which a quorum is present shall govern. The quorum for meetings of the Legislative Council shall be the presence of more than half of the Legislative Council representatives authorized by the Secretary/Treasurer to cast a vote. Proxies for voting at Annual and Special Meetings of the membership shall not be permitted. Voting by proxy when the vote is taken by mail shall not be permitted. Proxies for Officers shall not be permitted. Proxies for Directors at meetings of the Board of Directors shall not be permitted. Proxies for representatives on the Legislative Council must be in writing, signed by the authorized representative, and utilized by a member of the Association who is authorized to so act by the local court reporter association and pursuant to Article 10, Section 1(b) of these Bylaws. The holder of such a proxy may hold no more than one proxy simultaneously. Such proxy shall be nontransferable by the holder of the proxy. The President, with the approval of the Board of Directors, shall appoint the chairperson of each standing committee provided in these Bylaws, except the chairpersons of the Finance, Distinguished Service Award and CART/Captioning Committees. Each chairperson shall be a member of the Board of Directors, unless the President recommends a member other than a Director and that recommendation is approved by a majority vote of the Board of Directors. The President-Elect, with the approval of the current Board of Directors, is authorized to appoint committees for the ensuing term. The committee chairperson, in consultation with the President, shall select the members of the committee, except the Finance Committee. The Board of Directors shall have final approval of the committee members. Each committee chairperson shall make regular written reports to the Board of Directors as requested by the President and a final report to the membership at the Annual Meeting. The Board of Directors may create and dissolve committees and task forces, designate charges, and establish policy with regard to size and type of membership that are not in conflict with these Bylaws. Any committee or task force so created shall dissolve upon the close of the Annual Meeting unless otherwise specified. Each committee or task force chairperson shall be given a written explanation of the requirements of antitrust and other laws insofar as they apply to the activities of the Association and shall sign a written statement in which the chairperson undertakes to promote full compliance by the Association and all its members with such laws. The members of the Finance Committee shall be elected by the Board of Directors. The Board of Directors may also designate an appropriate Association support staff person to serve as a nonvoting ex-officio member of the Finance Committee. The Finance Committee shall be composed of three (3) members of the Board of Directors. The chairperson shall be a committee member selected by the committee. The Secretary/Treasurer shall be a nonvoting ex-officio member of the committee. Conduct a midyear budget review and make recommendations to the Board of Directors. The Professional Conduct Committee shall be composed of at least three (3) Regular Members of the Association. At the direction of the Board of Directors, the committee shall investigate complaints received by the Association concerning allegations of unprofessional conduct or abuses in connection with the court reporting profession and report its findings to the Board of Directors. The Bylaws Committee shall be composed of at least three (3) Regular Members of the Association. The committee may initiate proposed amendments to the Bylaws, in accordance with Article 20 of these Bylaws. The committee shall review any proposed amendments submitted by a member and make a recommendation to the Board of Directors. The Continuing Education Committee shall be composed of at least three (3) Regular Members of the Association. The committee shall engage in activities which seek to raise the educational and professional qualifications of the membership, publish in the official publication articles of educational value, and disseminate educational and professional material to the membership. The committee shall conduct one or more seminars annually, as approved by the Board of Directors. The committee shall, at the direction of the Board of Directors, cooperate in conducting the National Court Reporters Association examinations. The Membership Committee shall be composed of at least three (3) Regular Members of the Association. The committee shall actively solicit prospective members to become members of the Association and shall promote membership campaigns statewide for the purpose of securing additional members. The committee shall record the names of members who have passed away, along with their accomplishments and contributions to the court reporting profession. The committee shall present to the Association any resolutions or other recommendations with respect to the eminence of those members who have passed away. The Public Relations Committee shall be composed of at least three (3) Regular Members of the Association. The committee shall establish liaison with appropriate entities or persons for the purpose of promoting and improving the image of the court reporting profession and verbatim stenographic reporters. The Technology Committee shall be composed of at least three (3) Regular Members of the Association. The committee shall engage in activities to keep abreast of the latest developments in computer-aided transcription and other methods used to preserve a verbatim record of proceedings. The committee shall monitor the development of alternative methods used to create a record of proceedings. The Historian shall collect and preserve literary and other matters of interest, including books on the subject of stenographic, specimens of stenographic notes of members and other stenographic reporters, the history of verbatim stenographic reporting in the State of California, laws and court decisions affecting the interests of the profession, and other historical data. The Historian shall present a report at the Annual Meeting. The Distinguished Service Award is the highest professional distinction conferred by the Association. At least ninety (90) days prior to the Annual Meeting, the President shall appoint the last five (5) Distinguished Service Award recipients available to serve on the committee. The chairperson shall be selected by the committee members. In the event there are not five (5) Distinguished Service Award recipients available to serve on the committee, the balance of the committee shall be comprised of the most recent past presidents available to serve. A Distinguished Service Award recipient may be any Association member, other than a member who has served as President within the last five (5) years, and is to be selected on the basis of demonstrated performance and distinguished service toward the improvement and benefit of the court reporting profession over a period of at least ten (10) years. The committee may select one (1) recipient to be honored with a Distinguished Service Award plaque at ceremonies conducted during the Annual Meeting. At least one hundred twenty (120) days before the date of the Annual Meeting, the President shall appoint a Nominating Committee consisting of six (6) persons, designated as one Regular Member from each District, none of whom shall be a current Officer, plus two (2) members at large, plus a chairperson who may be the Immediate Past President or a past President. Each person so appointed must have been a Regular Member of the Association in good standing for the past five (5) years. The committee shall consider candidates for the offices of Secretary/Treasurer, Vice-President, President-Elect, President, and the three (3) or four (4) seats on the Board of Directors open for election pursuant to Article 11, Section 3. The Nominating Committee shall give due consideration to selecting a mix of candidates who are representative of the members and who will provide representation to the entire membership by making decisions in the best interest of the membership and the court reporting profession in California. The Nominating Committee shall nominate a candidate or candidates and submit such nominations to the membership at least thirty (30) days prior to the Annual Meeting in the most economical method allowed by law, and at the Annual Meeting. Candidates may also be nominated by a petition of no less than seven percent (7%) of members authorized to vote and submitted to the Nominating Committee no later than ninety (90) days before the date of the Annual Meeting. If such a petition is duly certified by the Secretary/Treasurer as correct, the name of the candidate so nominated shall be submitted along with the candidate chosen by the Nominating Committee in its report to the membership. The Deposition and Freelance Advisory Committee shall be composed of at least three (3) Regular Members of the Association. The committee shall analyze and review issues and trends in the freelance field and make recommendations regarding procedures, practices and laws related to freelance court reporting and regulations of the Court Reporters Board of California. The Support Our Students Committee shall be composed of at least three (3) Regular Members of the Association. The committee shall actively engage in activities that support court reporting students, including helping to create mentoring relationships; providing speakers for reporting school programs; and encouraging, supporting, guiding and nurturing the next generation of court reporters through their school training and during the beginning stages of their new careers. The Officials Advisory Committee shall be composed of at least three (3) Regular Members of the Association. The committee shall analyze and review issues and trends in the official field and make recommendations regarding procedures, practices and laws related to official court reporting and regulations of the Court Reporters Board of California. The Legislative Committee shall be composed of at least four (4) members of the Board of Directors appointed by the President and approved by the Board. The President, with the approval of the Board, may appoint additional Regular members to serve on the committee. In addition, the President may appoint a legislative advisor to assist the committee as a non-voting member. The committee shall review legislation proposed in the state legislature, communicate regularly with the Association’s lobbyist, and regularly report on the status of bills to the Board and the membership. The committee shall draft proposed legislation to be considered by the Board and review any proposed legislation recommended by the Legislative Council. As directed by the Board, the committee shall develop documentation to support or oppose legislation. The CART/Captioning Committee shall be composed of at least three (3) members of the Association. The chairperson shall be the Seat “G” Board member. The committee shall analyze and review issues and trends in the CART and broadcast captioning fields and make recommendations regarding procedures, practices, laws, regulations and guidelines promulgated by the Federal Communications Commission (FCC), the NCRA Broadcast and CART Captioning Committee, or other related bodies. The committee shall draft and present legislative ideas and possible state regulatory rules aimed at strengthening the CART and captioning professions and increasing access for individuals who are deaf and hard of hearing. The committee will be responsible for updating rules, regulations, guidelines and best practices for publication by the Association. At least thirty (30) days before the close of the fiscal year, the Board of Directors shall appoint a California Certified Public Accountant to audit, or perform a review of, the books and records of the Secretary/Treasurer and prepare the Federal and State tax returns. At the close of the Annual Meeting, the President, with the assistance of the President-Elect, the Vice-President, the Secretary/Treasurer, and the Finance Committee shall submit to the Board of Directors a proposed budget for the following fiscal year. At the first meeting of the Board of Directors, but no later than thirty (30) days following the close of the Annual Meeting, the Board of Directors shall approve a budget for the fiscal year. The Board of Directors shall have the power to allocate funds for carrying out the purposes of the Association. The Board of Directors may receive property by donation, gift or bequest, and act as trustee subject to such trust and invest, reinvest, and manage the same, and apply said property and income arising therefrom for the purposes of the Association. The Board of Directors may levy assessments for defraying necessary expenses of the Association. Except as otherwise provided in these Bylaws, only the Board of Directors may authorize any Officer or agent to enter into contracts or draw any instrument on behalf of the Association. Unless and except as authorized by the Board of Directors, no loans shall be contracted on behalf of the Association and no negotiable paper other than checks shall be issued in its name. No member, committee member, task force member, Officer, Director, or agent of the Association shall incur any indebtedness in the name of the Association or make any commitment involving the Association unless authorized to do so by the Board of Directors. All bills, drafts, acceptance, checks, endorsements, or other evidence of indebtedness shall be signed by an Officer and/or agent of the Association as the Board of Directors may designate. All income for the Association shall be collected by an Officer or agent of the Association as the Board of Directors may designate for that purpose. All funds of the Association shall be deposited to the credit of the Association in such depositories as the Board of Directors may designate, provided such depositories are covered by Federal deposit insurance. Investment funds may be deposited without benefit of Federal deposit insurance. Such funds shall be withdrawn according to procedures specified by the Board of Directors. Funds of the Association may be invested and reinvested in such manner and for such purpose as may be lawful and as authorized by the Board of Directors. Any funds in excess of normal operating requirements and in excess of a reasonable reserve shall be used to further the purposes of the Association, as determined by the Board of Directors. No member, committee member, task force member, Officer, or Director, shall receive compensation for services rendered to the Association. Reasonable and necessary expenses personally incurred while attending to approved business of the Association shall be reimbursed by the Association in accordance with the Standing Rules. The Board of Directors may engage the services of an attorney to act as legal counsel to advise in the legal affairs of the Association. General liability, directors and officers, and/or professional liability insurance shall be purchased in an amount approved by the Board of Directors. The Association shall use its funds only to accomplish the purpose specified in these Bylaws, and no part of such funds shall inure to the benefit of, or be distributed to, any members. Upon dissolution of the Association, any funds remaining shall be distributed to one or more recognized non-profit organizations to be selected by the Board of Directors. Each member of the Board of Directors shall be given a written explanation of the requirements of antitrust and other laws insofar as they apply to the activities of the Association, and shall sign a written statement in which the Director undertakes to promote full compliance by the Association and all its members with such laws. Nothing in any article of these Bylaws shall be construed to require or permit the Legislative Council, the Association, the Board of Directors, or any of its committees or agents, to participate or advise in any way, formal or informal, in the setting of rates or charges for the profession, except for rates established by statute, rule or order of court. No Director shall act on behalf of the Board of Directors or the Association, with regard to legislative matters or in any other matter, unless such Director has been specifically designated to do so by the Board of Directors. Failure to comply with the directions of the Board of Directors and with this provision may be grounds for removal from the Board of Directors under the provisions of Article 13, Section 1. The headquarters office of the Association shall be maintained as directed by the Board of Directors. The Board of Directors may select and contract for the services of an Executive Director or other Association support staff, who shall manage and direct the operations of the headquarters office of the Association and perform such other duties as may be prescribed by the Board of Directors. An Executive Director or, if none, other appropriate Association support staff person may serve as assistant to the Secretary/Treasurer and shall act in the absence of the Secretary/Treasurer when so directed by the Board of Directors. An Executive Director or, if none, other appropriate Association support staff person may be a nonvoting ex-officio member of a committee when so directed by the Board of Directors. An Executive Director or, if none, other appropriate Association support staff person shall submit a written report to the membership at the Annual Meeting. The Bylaws may be amended by a two-thirds (2/3) vote of voting members at an Annual or Special Meeting at which a quorum is present, provided notice of such amendment(s) and the full text thereof has been filed with the chairperson of the Bylaws Committee not less than sixty (60) days before the date of the Annual or Special Meeting at which said proposed amendment(s) is to be considered. The Board of Directors shall duly notify all members eligible to vote of the text of all proposed amendments in the official publication or by written notice, as the Board of Directors directs, not less than thirty (30) days preceding the date of the Annual or Special Meeting. Such notice may include a recommendation to the membership from the Board of Directors. Any amendment which has not been filed in accordance with the Bylaws may be submitted at the Annual Meeting at the request of three (3) members and shall be adopted only upon receiving a unanimous vote of eligible voting members present at the Annual Meeting where a quorum is present. The full text of a proposed complete revision of these Bylaws shall be presented to the membership no less than sixty (60) days preceding the date of the Annual Meeting. The text of the proposed revision may be accompanied by a recommendation of the Board of Directors to the membership. The text of the proposed revision shall be accompanied by a statement of rationale from the Bylaws Committee, as approved by the Board of Directors. A majority vote of the Board of Directors shall determine any dispute involving the interpretation of these Bylaws.